June is filled with countdown's. 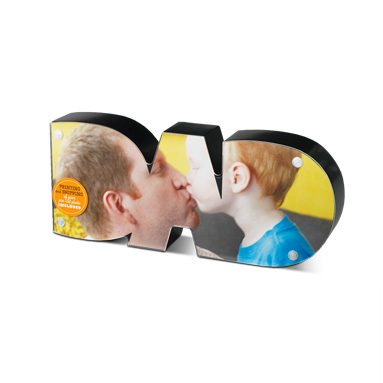 Father's Day is June 16 and many children are counting down the final days of their school year. It's an extra special time for those crossing the big milestone of graduation. Once again I relied on Hallmark Canada to help me pick out some gifts for special celebrations this month. 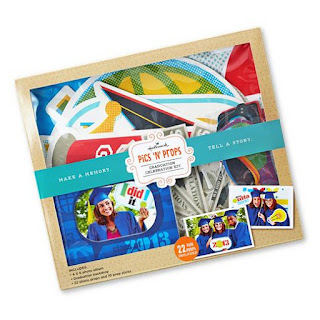 This fun kit has a bunch of props to help personalize photo ops and scrapbooks to memorialize graduation celebrations forever. It retails for $19.95 with more prop theme kits available. This custom picture frame has been picked out for my husband. It is sold in-store for a special price- only $14.95 until May 30/2013. Because of it's unique shape, Hallmark has partnered with Shutterfly to help you upload photos to fill this 3D frame. The details are included with purchase. Visit Hallmark for more information about product pricing and availability.